Our beautiful 50' French-built Benetau sailboat is available for private charter for a day of sailing, snorkeling, whale watching, or sunset sailing. This luxury sailboat is beautifully appointed with 3 staterooms, each with its own private bathroom & shower, and a modern salon complete with fine leather upholstery, natural wood finish, TV and DVD player, refrigerator and more for some shaded relaxation, dining or socializing. She is fully crewed, so you can relax and enjoy, and is comfortable for up to 16 people for day sailing or 20 people for sunset sailing. We'll pass by famous Land's End, giving you amazing photo opportunities of Lovers Beach, the Arch, Pelican Rock, and the Cabo San Lucas Marina, on our way to show you Cabo's renown underwater marine life. You will enjoy snorkeling, swimming and feeling the wind in your hair as we sail around Land's End and on the open ocean. Enjoy the open bar, snorkeling, a gourmet lunch, even stand-up paddleboards (SUP) as part of a glorious day on the water in Cabo San Lucas! Round-Trip Transportation from Most Los Cabos Hotels, English-Speaking Captain and Crew, Gourmet Deli Lunch, Unlimited PREMIUM National open Bar, Snorkeling Equipment, Stand-Up Paddleboards (SUP), Towels, All Safety Equipment. Set sail past Cabo's most famous landmark, Land's End, including the Arch, Lovers Beach and the Sea Lion Colony. We will sip cocktails as we enjoy unobstructed panoramic views of the Cabo San Lucas Marina and skyline before watching the sky turn brilliant array of colors while the sun sinks into the waters of the majestic Pacific Ocean behind the Arch. After the sun has set, we will relax and enjoy gourmet hors d'oeuvres with such things as such as locally sourced crab pate rolls, baguettes with goat cheese, traditional Mexican seafood burritos, succulent melon and cured proscuitto, Dutch Elam cheese and Italian smoked salami. 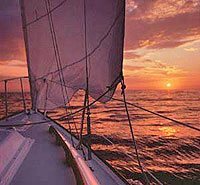 Whether you are with your special someone or just enjoying a night of sailing with a few of your good friends, this tour is sure to be one of the biggest highlights of your vacation in Cabo. Round-Trip Transportation from Most Los Cabos Area Hotels, English-Speaking Captain and Crew, Gourmet Hors d'Ouevres, Unlimited PREMIUM Open Bar, All Safety Equipment. All Ages are Welcome. Must be 8 years old to snorkel. PRIVATE boat (just you and the crew), not per person. This activity is not available to cruise ship passengers. However, other Sailing tours are! See our other great Sailing Tours here.